“Our strategy will be to try out a young driver to get kilometres under his belt and prepare for the years to come. Should Robert be out for the entire season, then it will normally be a more experienced driver to do the entire season, to develop the car, and everything else.” Gerard Lopez. Lotus Renault GP have announced that Bruno Senna and Nick Heidfeld will get runs in their R31 as the team evaluates a replacement for the injured Robert Kubica. Kubica is certain to miss the beginning of the new season following his rally crash on Sunday, leaving the team in need of a new driver to join Vitaly Petrov. However the identity of the replacement remains uncertain, with the team believed to want the experienced Heidfeld should Kubica be forced to miss the whole campaign but Senna should the Pole be able to return later in 2011. “Vitaly will drive the R31 on Thursday and Friday, as originally scheduled. For Saturday and Sunday, the team will give mileage to Bruno Senna and will also evaluate Nick Heidfeld, who is a potential replacement for Robert Kubica as a race driver. 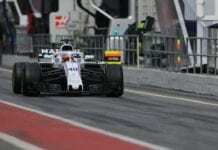 The exact running order for the weekend will be confirmed on Friday evening,” the team said in a statement today. Kubica’s doctors have been pleased with his recovery thus far but remain uncertain about when he’ll be ready to get back behind the wheel of an F1 car. Previous articleWill pretty looking mean pretty quick? Next articleConfused about the 2011 rule changes?